1960s source for John and his family in Cleveland: John’s granddaughters Jane Lausche, Jean Hoffman & Virginia Kauhl. The original 1960s text is in italics. The rest of the entry is a mixture of the oral tradition and 2012 research. Eldest son of John and Jane Oram, “Ba Ba” was born November 24th 1847 in Sparkford, Somerset, probably at the home of his mother’s parents Samuel and Charity Talbott. He was christened at Sparkford Church on Boxing Day 1847. During this time his father John would have been working under contract on a farm in the Wylye Valley. The term ‘yeoman’ usually denoted an independent farmer who owned his land, so the description of the father’s occupation as ‘yeoman’ on the birth certificate was purely aspirational. By December 1849 the family was living together in Manston, Dorset and just over a year later at the time of the 1851 census they had moved a few miles east to Irwerne Common, Irwerne Minster. In 1853 he travelled with his sister Jane, brother Arthur and mother to the West of Ireland where his father had just been offered employment in the Wyndham estates in Co. Mayo at Burrishoole. On 16 May 1857 his father John noted in his diary “To school (Mrs Chartes[?]) with John”. This was the local Protestant school at Derrada. Later, through the good offices of Col. Vaughan, he was apprenticed to the Great Western railway works at Swindon in Wiltshire. (John’s father ran estates for Col. Vaughan in Mayo.) Having successfully completed this course, his father arranged for John to go and work in the Clyde area in Scotland. John did not like this and although in later life he was peaceable and never had a row with anyone, on this occasion he broke his apprenticeship. This meant nineteen year old John was liable to be arrested. His father noted in his diary that he “Met John at Westport” on 2 March 1867 then on 18 March 1867 “To Westport with John who left for New York. Fearful weather, hard frost, snow with N.E. gale”. The next day it was so cold that people refused to work. 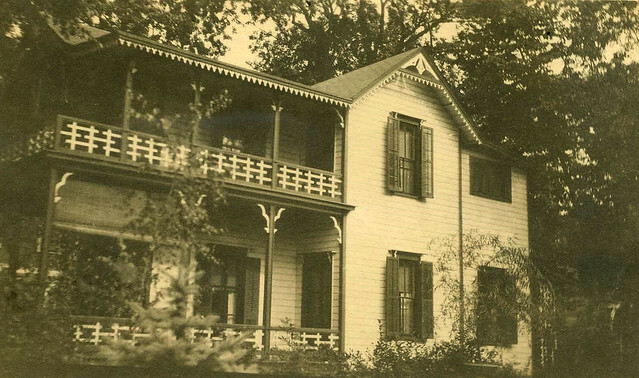 At that time many of the local people emigrating to the USA joined the growing Irish community in Cleveland, Ohio (see this link) where John met up with the Clark family who had left Burrishoole in November 1864; Mr. Gilbert Clark had been a stockman on the Wyndham estate for a few years. John fell in love with Mr. Clark’s attractive daughter Jane, and they were married on 7 December 1867. Life was not easy for John and Jane in the early days in America. 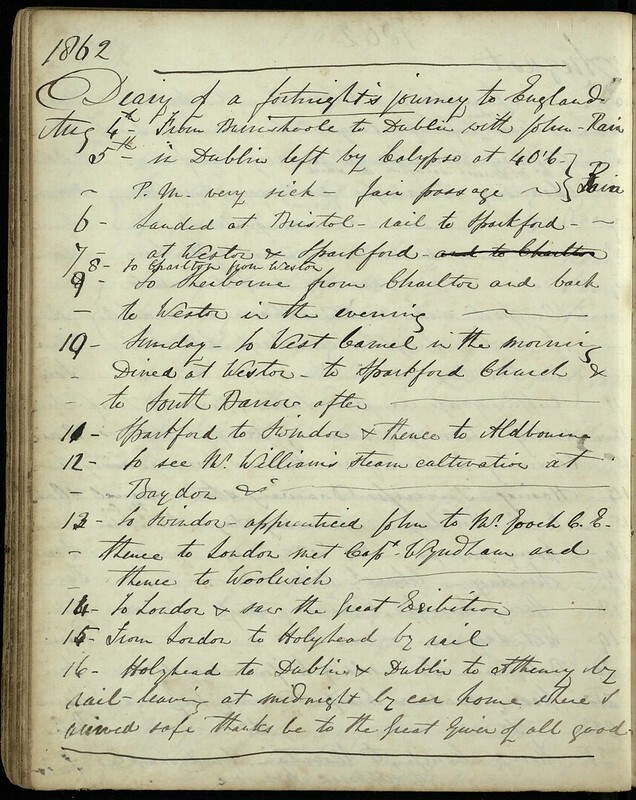 An insight into John’s fortunes can be seen in the Cleveland directory records, which provide an interesting background to the oral history that John’s grand daughters related for The Saga. As the oldest of these sources was ten years old when John died, most of the memories would probably have arisen from later reminiscences at their family dinner table. Any independent confirmation of this history is welcomed. When interpreting the directory entries, the time lag between address changes and publication needs to be taken into consideration as well as data collecting and typesetting errors. Within a couple of years of arriving in Cleveland, John was living in Spring Street and describing himself as a ‘machinist’. Spring Street, where John’s father-in-law Gilbert Clark also lived, was close to the docks and two blocks away from the Cuyahoga River. See image at left. It is interesting to compare this image with one included in the Cleveland Memory Project, taken a block closer to the port. 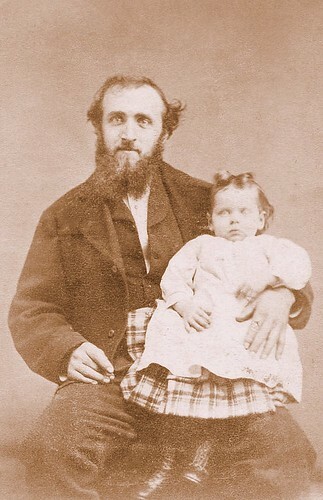 John must have found reasonable employment as by the time of the 1870 census, John, Jane and baby Ida had moved east, away from the industrial area to an unknown address. From there they soon moved to Lyon Street on the developing north eastern fringes of the city. In 1872 John and Thomas Stead filed a patent for “an improvement in portable furnaces” that seems to be an early version of a stove top burner. In Cleveland there was a Thomas Stead who was an inspector for the Lake Shore and Michigan Southern Railway, later working in their workshops. In this position Thomas may have perceived a problem that John tried to help him solve, leading to John’s first patent. Around this time John’s employers included H.A. Crossley, a manufacturer of wooden shingles for roofs and Lord, Bowler, machinists and engine builders. One of his colleagues at Lord, Bowler was Edmund F. Atherton. By 1875 the two men had established Oram & Atherton’s workshop on Columbus, close to the Cuyahoga River. 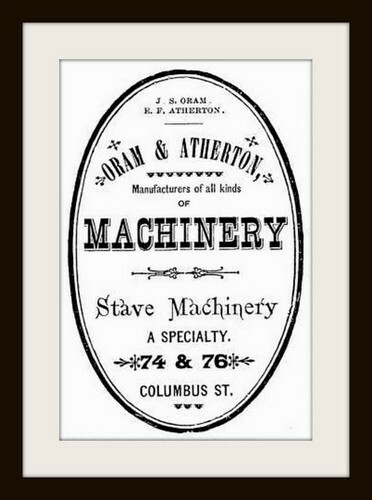 In the 1880 directory, four machinists and a bookkeeper indicated that they were employed by Oram & Atherton. 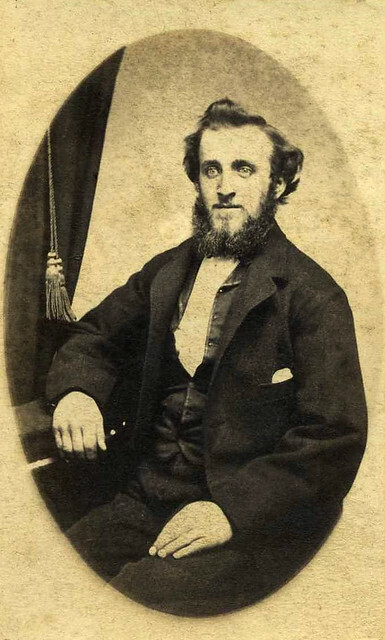 Jane’s brother William Clark also indicated he was was working for John by 1876. 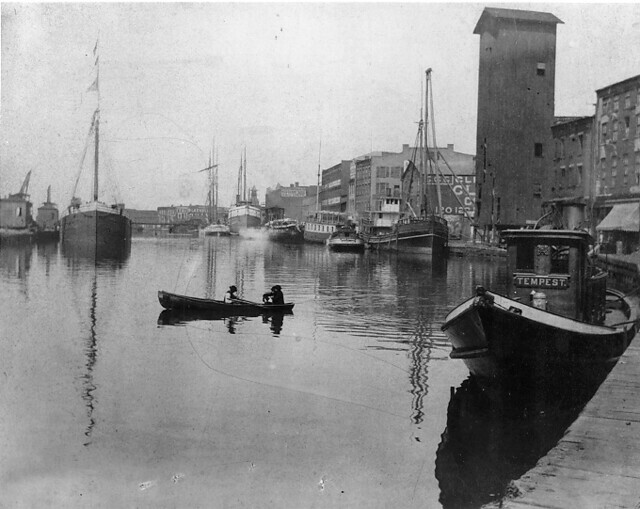 The next year Oram & Atherton moved to premises on River, just to the west of the Cuyahoga River. The partnership must have dissolved within a couple of years as by 1884 J.S. Oram Co was trading from the River address while Edmund Atherton continued to live in Cleveland and work for other businesses. After living at 11 Lyon St for over 10 years, the family moved first to 1014 Superior, then 254 Case, and then 206 St Clair, before settling at 1135 Superior by 1890. In 1883 John and Henry R. Dickerman filed a patent for a fire escape design. No description or drawing of their idea is available, just the note: “Not known to have been produced”. It looks as if the two men ran three businesses concurrently for a few years: Henry Dickerman’s carpentry business Nadeau & Dickerman, J.S. 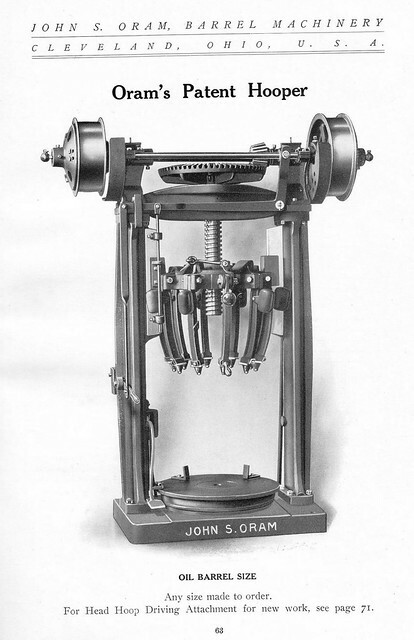 Oram & Co stave machinery manufacturer, and J.S. Oram & H.R. Dickerman fire escape manufacturers. After two or three years John & Henry Dickerman went there own ways; Dickerman returning to his carpentry business and John taking sole control of J.S. Oram & Co for the rest of his life. In 1887, after twenty years in Cleveland, John had the wealth and confidence to take Jane and his younger son Oscar on a trip to England. No doubt he left his business in the safe hands of Jane’s brother William Clark. He was lucky enough to meet Rockefeller when the latter needed faster methods for making barrels to cope with his flow of oil. Rockefeller at that time was the pillar of the Baptist Church in Cleveland and John was the mainstay of the Methodists and it was through their church and Y.M.C.A. work that these two met. John successfully designed machinery to speed up the process of barrel making. Jane’s brother William, who was an excellent mechanic, helped John in those days. We own the 1907-8 catalogue of John S. Oram Company, which includes stave machines, keg jointers, nail keg stave joiners, hoppers and boiler feed pumps all of which show his inventive and ingenious mind. John built up a sound and thriving business and later became a Bank Director. His church also benefited from his cautious wise advice on financial and economic matters. John and Jane had 2 sons and 3 daughters, the latter were known affectionately as “The Oram Girls”. His daughters and grandchildren worshipped the ground he trod on and affectionately called him Ba Ba and loved stroking his soft silky beard. When his grand-daughter Virginia was small she always thought he was Father Christmas when he arrived in his red Stoddard-Dayton car on Christmas Day with a pillow slip of presents for all the family. He always carried a cylindrical package of fluted edged chocolates that he handed out to the children he met. He gave all his family such a feeling of well being and security. 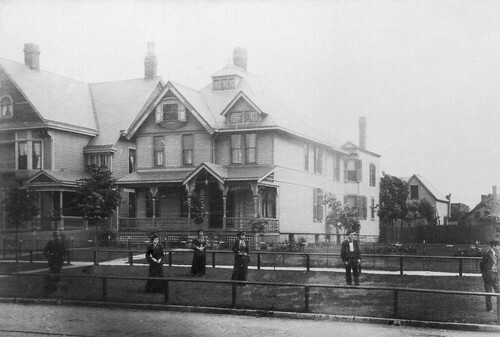 When the Saga was written we did not know where John and Jane first lived in Cleveland, but did have a photograph of the whole family standing in front of the family home in Superior Avenue. Once his wife Jane had died and all the family except Jean were married John moved with Jean to an apartment house at 1920 East 93rd Street, Cleveland. The Methodist Church that they attended was only three minutes walk away and his daughter Ida lived nearby. But the house the family loved best was “The Cottage” at Lakeside Ohio, where the whole family spent the long hot summers. 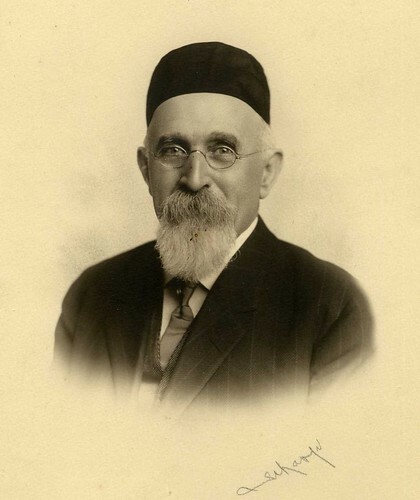 Ba Ba was first President of the Lakeside Chautauqua Association which sponsored recreational activities for children and arranged lectures and concerts for them. Once he had established himself, John paid frequent visits (for those days) to his delighted relations in England, staying with each of them in turn, visits that were remembered by his nephews and nieces all their lives. In his diaries, John’s brother Arthur relates John’s visit to his parents at their farm in Lovington, Somerset: “28 May 1987: Met John after 20 years absence in America, his wife and second son”. This was the first time that John had been able to meet his youngest siblings Lily Louisa, Edith Mabel and Letita Kathleen who had not been born when John left for America. About eighteen months later, on 1 January 1890, John’s wife Jane died leaving John with their five offspring aged 11 to 20 years living at home. In the previous review of information gleaned from the directories we left the family living either at 206 St Clair or 1135 Superior. The family moved to 1692 Superior until, as related above, John & Emma Jean moved to 1920 E 93rd St. Ida gets just one mention in the directories, as a music teacher before marrying William H Keim in 1900. By 1905 William was employed by J.S. Oram Co as a cashier and by the 1910 census was treasurer of J.S. Oram Co, a position he held for the rest of his life. Interestingly this role was not mentioned in ‘The Saga’. For a while Arthur was a machinist, no doubt working for J.S. Oram Co. Emma Jean was mentioned a few times as being a teacher. Oscar was a shipping clerk, bookkeeper and then ‘supt’ at J.S. Oram Co where he work for the rest of his life. Lillian was not mentioned in the directories. As the business developed John moved his works from River to Coe, in the eastern part of the city, closer to the family’s home. The final move was to Hamilton, though as Coe and Hamilton intersect the change may have been one of address rather than premises. While John improved the designs of his barrel making machinery he was granted some patents. Emma Jean became president of J.S Oram Co after John’s death so the company’s history will be continued under her entry. John became an excellent photographer and it is to his skill that we owe many of the family photographs. Perhaps the most outstanding being of Arthur and Catherine’s family drinking tea in the lounge at Wilford. It must have been rare and quite dangerous for amateurs to take indoor photographs at that time. Of course he came over to England in August 1892 for his sister Emma’s wedding at Lovington. This time he brought his 3 daughters and son Oscar with him. It was on this visit that he must have used much tact in handling his proud and independent father who had obviously not enough money to retire on. John persuaded his father to invest his money in John S. Oram and John saw that the resultant dividends meant that the old folks did not have too hard a struggle in their old age. All his grandchildren, nieces and nephews who were alive in the 1960’s recalled Ba Ba with terrific affection, gratefulness, respect and pride. Sixty years on his legacy is still remembered by some of the next generation. Life was never the same for his family after he died whilst visiting his sister Lily at Ilfracombe on June 14th 1913. There are two photographs that John took of one of his grandsons, twelve year old John Oram Keim who was with him on this visit. John’s brother Arthur in Ireland heard the news later that day: 14 June: “.. handed telegram from Lily & James at Newport saying John died suddenly of heart failure at Ilfracombe this morning”. John’s funeral service took place on July 5th, at Wilson Avenue M. E. church, Cleveland and he was interred in Lake View Cemetery. A review of John’s life written in 1918 is interesting although some of the dates are suspect. The photograph shows a man with a kindly twinkle and smile with a smoking cap that covers his ingenious and inventive mind and shrewd business head.